Here we are at the mid-way point of the Dinner Party Through Time and we have arrived in the Georgian period with two great recipes inspired and stolen from the excellent 18th century cook book The Experienced English Housewife by Elizabeth Raffald. The book and the great lady herself deserve a post to themselves really; it lets such a light into the world of grander houses during that time. It’s a book I often leaf-through, so it was the obvious choice. 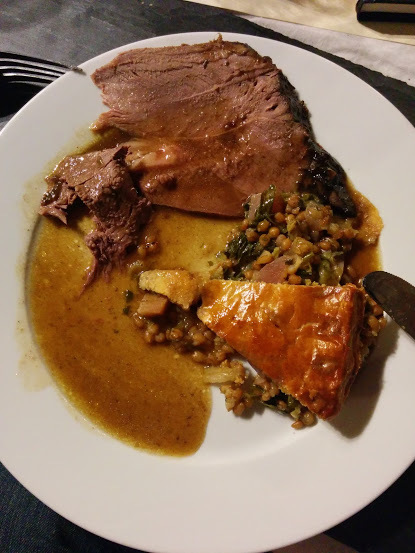 I thought that the course should be from opposite ends of the gastronomic spectrum with a rich leg of mutton, specially prepared to taste just like venison, and a Lenten pie, specially made for fast days and full of lovely vegetables and herbs. 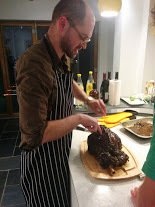 Get the largest and fattest leg of mutton you can get cut out like a haunch of venison as soon as it is killed, whilst; it will eat the tenderer. Take out the bloody vein, stick it in several places in the under side with a sharp pointed knife, pour over it a bottle of red wine, turn it in the wine four or five times a day for five days. Then dry it exceeding well with a clean cloth, hang it up in the air with the thick end uppermost for five days; dry it night and morning to keep it from being damp or growing musty. When you roast it cover it with paper and paste as you do venison. Serve it up with venison sauce. It will take four hours roasting. There’s a 4 day marinating time for this recipe, so plan ahead if you fancy making it. It is worth it, this is one of the most delicious things I have ever cooked and eaten. 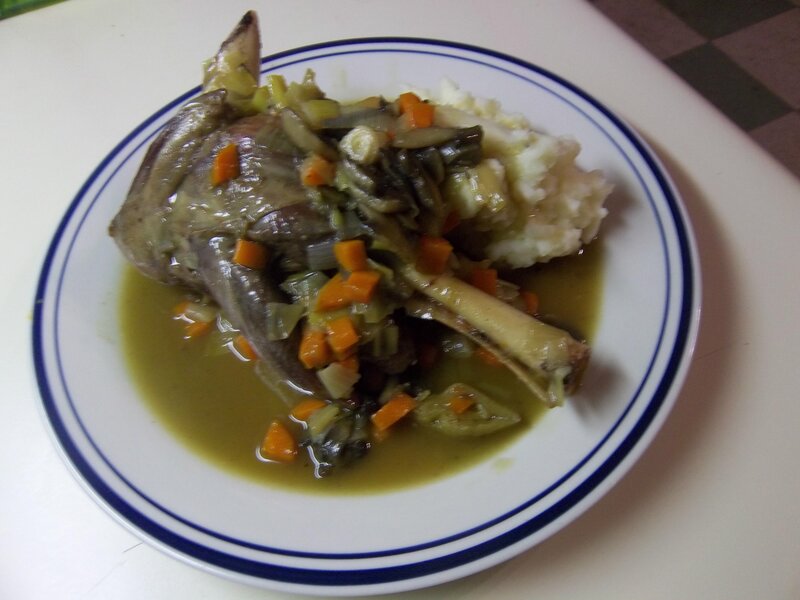 It is beautifully gamey, but with the moist succulence you would expect from lamb or mutton. It is magically transformed! Witchcraft can only be to blame. To make the marinade, fry the vegetables in the oil or fat. Take your time over this and get them good and brown; the veg won’t be in the final dish, but their flavour will be. Let them cool, and mix with the remaining marinade ingredients. 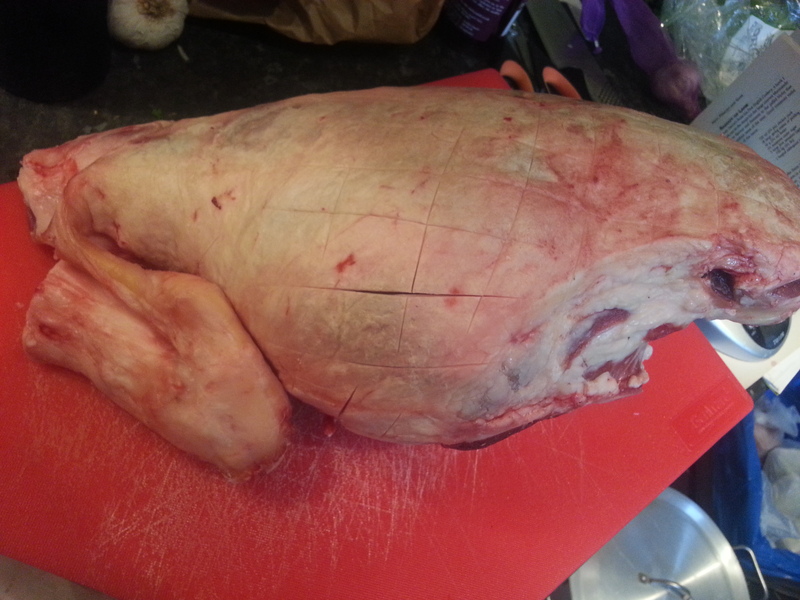 Score the fat of the leg into a diamond pattern, like you would do for a ham. Find a large, deep dish or pot and place the lamb inside and pour over the marinade. Make sure the whole leg gets the marinade on it, so turn it over a few times. Keep the leg somewhere cool – a fridge, or a nice cool cellar or pantry – and cover it with foil. Turn it twice a day for four days. When the four days is up, get the new set of vegetables ready. 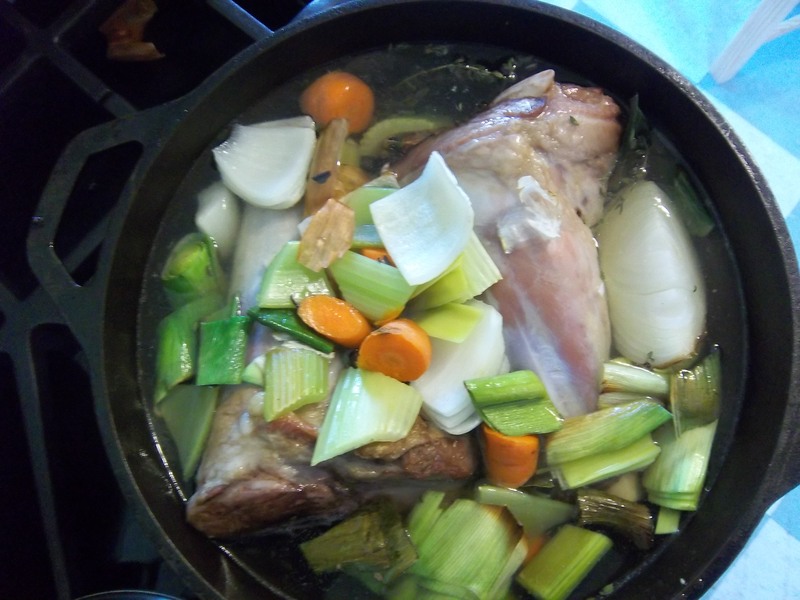 To cook the mutton, spread the prepared vegetables over the base of a deep roasting tin, place the leg on top and strain the marinade over it. Top up the marinade liquid with veal stock or water so that it comes up two-thirds of the way up the tin. Cover with foil. You have two choices now: either bring the whole thing slowly to boil and simmer gently for 3 hours on the hob, or bring to simmer and pop it in a cool oven instead, 150⁰C will do it, for a similar amount of time. Turn the joint over after ninety minutes and in the final half an hour, ladle out 2 pints of the cooking liquid and boil it down hard to make a concentrated, richly flavoured stock. When the cooking time is up, remove the leg and put it into another roasting tin and turn the oven up to 220⁰C. Roast for a good 20 minutes and baste well with the concentrated stock to achieve a nice glaze. Any remaining concentrated stock can be used as gravy. Take lettuce, leeks, spinach, beets and parsley, of each a handful. Give them a boil, then chop them small, and have ready boiled in a cloth one quart of groats with two or three onions in them. Put them in a frying pan with the herbs and a good deal of salt, a pound of butter and a few apples cut thin. Stew them a few minutes over the fire, fill your or raised crust with it, one hour will bake it. Then serve it up. Groats are whole grains of cereals and oats or barley could have been used, but I chose whole wheat. The only change I made was to use a normal shortcrust pastry and make a regular double-crust pie in a tin, rather than a raised crust with a hot water pastry. I regret that a bit now, but I wasn’t as good at pastry then as I am today. 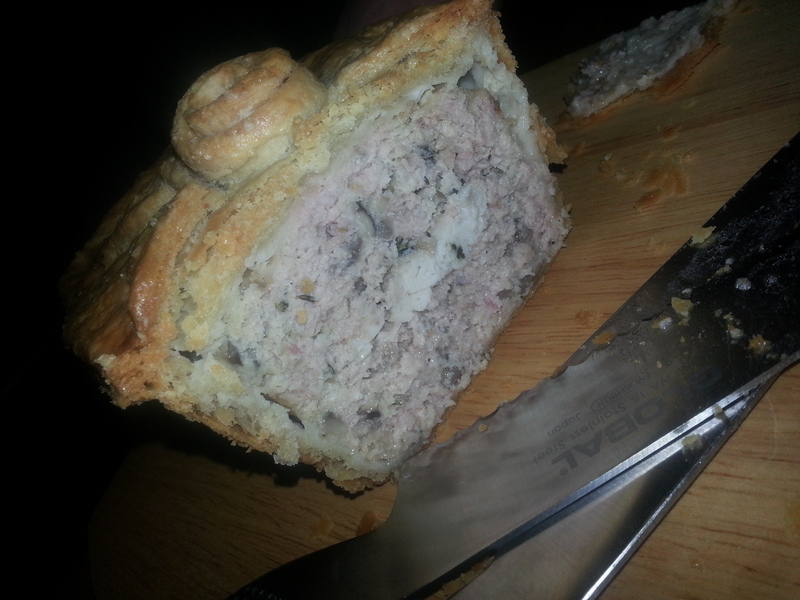 It is a good pie – some plainer cooking that married very well with the rich meat. Begin by gently frying the onion in a little butter or oil until soft and golden. Add the groats and cover with water. Simmer gently until the groats are tender, topping up with more water if things look a little dry. Season with salt and pepper and allow to cool. Meanwhile fry and soften the apples in butter and let those cool too. 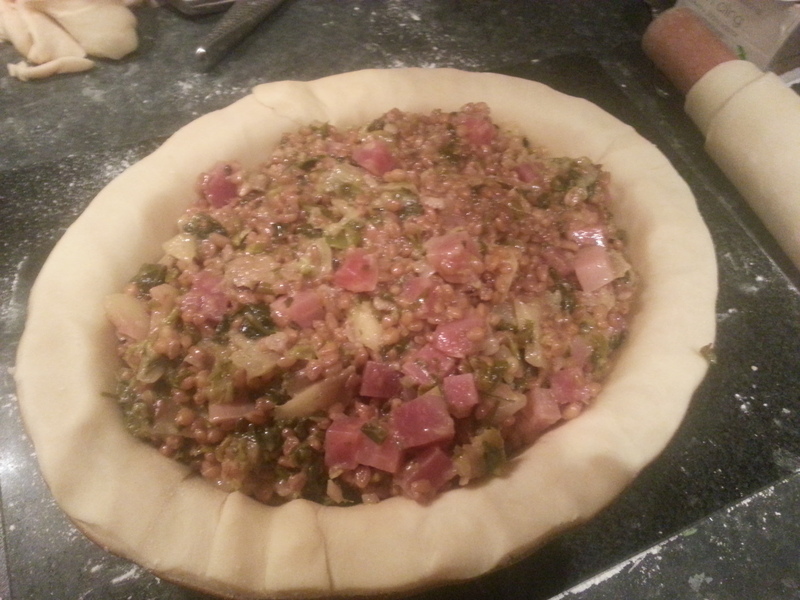 Mix the apples with the groats and the remaining vegetables and line a pie tin with shortcrust pastry. Tip in the mixture and cover with more pastry in the usual way. Glaze with beaten egg and bake at 200⁰C for 20 minutes until golden, then turn down to 175⁰C for 35 to 40 minutes. This is not a manual of cookery, but a book about enjoying food. Few of the recipes in it will contribute much to the repertoire of those who like to produce dinner for 6 in 30 minutes flat. I think food, its quality, its origins, its preparation, is something to be studied and thought about in the same way as any other aspect of human existence. 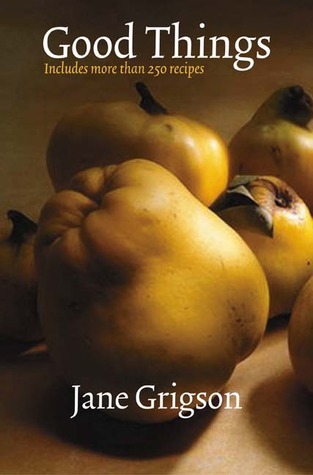 Good Things was Jane Grigson second book and was published in 1971. Although she is known for her later extensive and very comprehensive writings, this is relatively brief. She then goes onto her first recipe which consists of celery stalks, good Normandy butter and sea salt. This is the genius of Good Things, you are being shown how good something can be if prepared properly, grown skilfully and eaten seasonality and sensibly; essentially Jane is teaching us how to eat. (NB, click here for a post of my own on the humble celery stick). 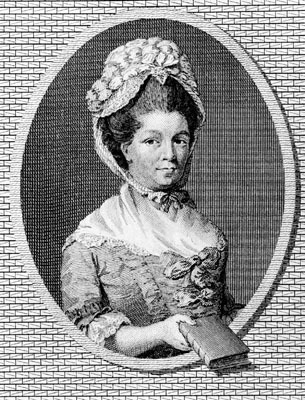 Every chapter also perfectly reflects Jane’s own lifestyle; spending half her time between England and France, with a smattering of recipes from other European countries. It really showed how she lived her life, though I can imagine her family got a little sick of some of the focal ingredients when she was recipe testing. So what did she pick? Some are probably quite obvious such as venison, asparagus, woodland mushrooms, strawberries and ice creams; others are common and, perhaps, overlooked, like celery, kippers, tomatoes and carrots; whilst some were becoming forgotten or seemed obscure, ones that leap to mind are snails, quince, sweetbreads and fruit liqueurs. Jane’s gift to me is a love of such foods that I never would have sought out, that has demonstrated to me just how good, exciting and varied British food can be, as well as how its history is interlinked inextricably with other countries’ food histories. I think this recipe best sums up the essence and ethos of Good Things; it uses a delicious but forgotten meat cut, is French but you would think it quintessentially English. She discovered it in the charcuterie of a small town in Burgandy and it was the most expensive pâté in the shop. She made it into a pie, a pie so good it made it on my last Pop-Up Restaurant menu. 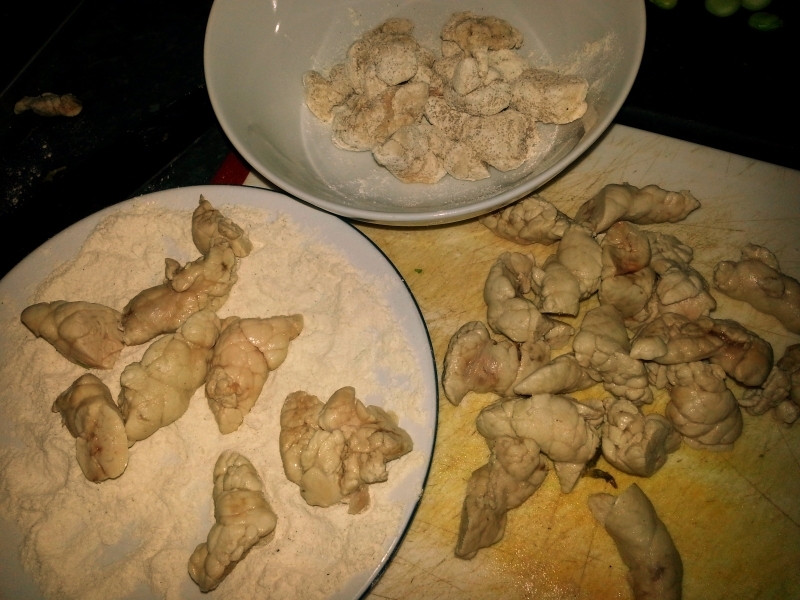 The recipe requires you prepare some sweetbreads – if you’ve never eaten or prepared sweetbreads, have a look at this previous post all about them. In a nutshell, you poach them briefly in a light chicken or vegetable stock, or court-bouillon. For a post on stock-making click here. I am so self-referential these days! If you can’t get as much as the 500g given in the recipe, then use whatever you can get your hands on. I expect it would be excellent even with the sweetbreads omitted altogether! ‘Make the pastry in the usual way’, says Jane. I mean to write a post on pastry-making, I shall endeavour to do so soon. Whilst it rests in the fridge, cut up the sweetbreads into even-sized pieces, then cook the mushrooms onions and garlic in the butter, until softened but not brown. Next, make the forcemeat by mincing the pork and veal, if using, the back fat and the bacon through the course and then fine blades. 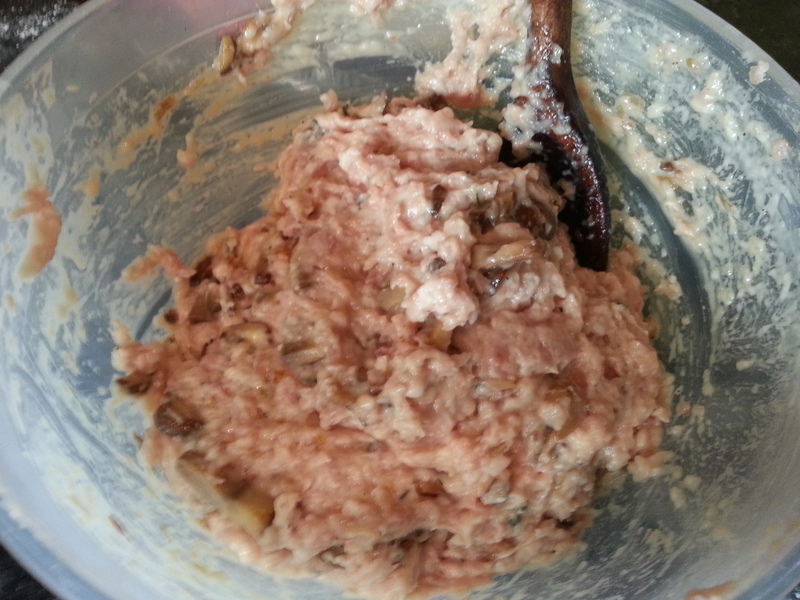 Mix in the eggs, flour, cream and the mushroom mixture. Season with salt and pepper and add a good sprinkle of chopped thyme. 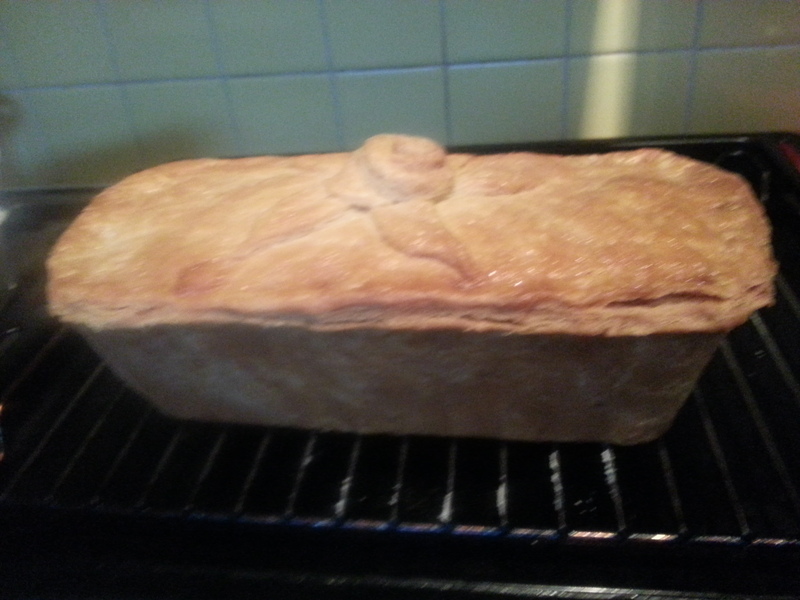 Line a 450g loaf tin (an old 1 lb tin) with 2 thirds of the pastry. Spread over one third of the mixture over the base of the tin, then a layer of half of the sweetbreads, then a second third of the forcemeat, then the remaining sweetbreads, and lastly the final third of the pork mixture. 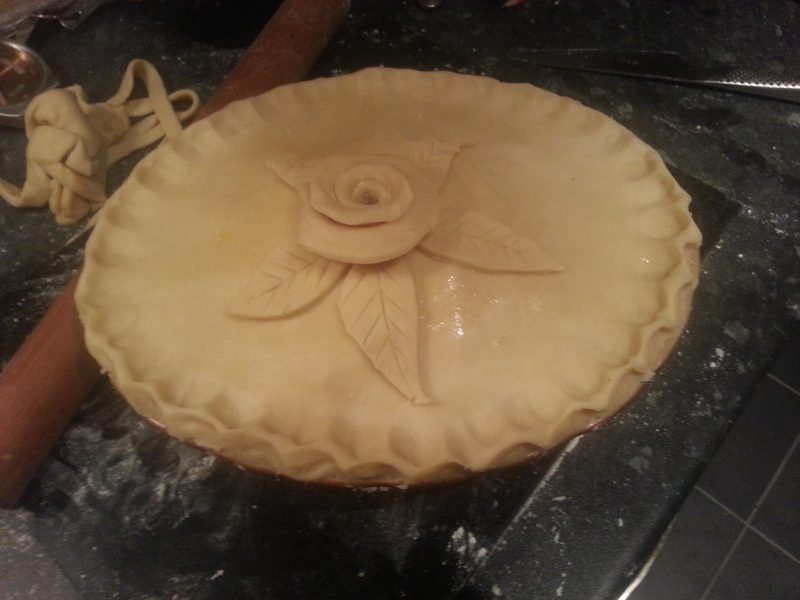 Seal the pie with a lid, brush with egg wash and bake for 90 minutes in a moderate oven – around 180⁰C. ‘Serve warm’, she says, but it is also very good at room temperature. It keeps very well in the fridge if wrapped up tightly in foil or clingfilm. For those that are not aware, sweetbreads are a type of offal and come from the thyroid gland, situated around the throat, of either calves or lambs. For this reason they are often called throat sweetbreads. The thyroid gland, or thymus, produces the hormone thyroxin which is involved in the proper regulation of metabolism. Hyperthyroidism is a common disease where the sufferer produces too much of it, causing very high metabolism and, as a consequence, is rather skinny. I had a cat with it once. 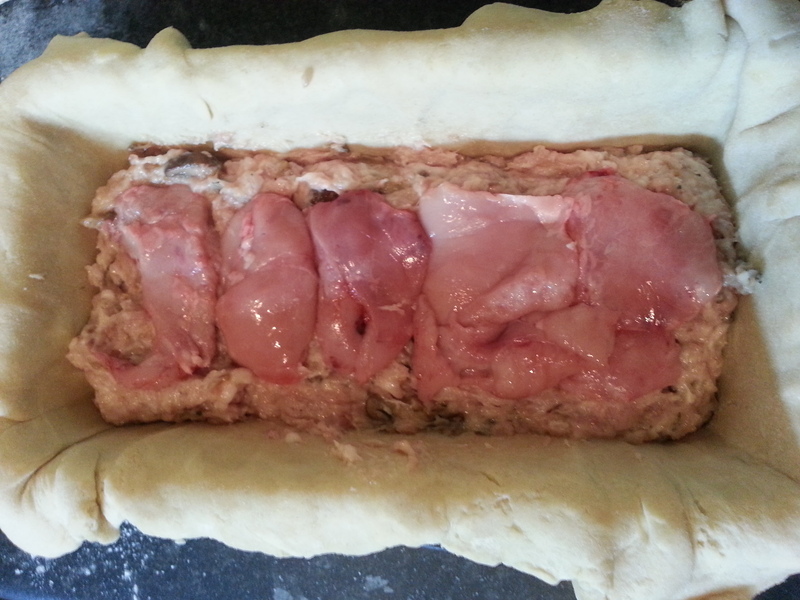 The pancreas is commonly sold as heart or stomach sweetbreads, there are other rarely used sweetbreads too such as tongue and cheek sweetbreads. Most people think that sweetbreads are the testicles of calves and lambs; in fact, very rarely are testicles sold under the name of sweetbreads, they are more commonly sold as fries or stones. Don’t be put off by the thought of eating a gland – they taste light, with a suspicion of iodine and do not have a strong offal flavour. 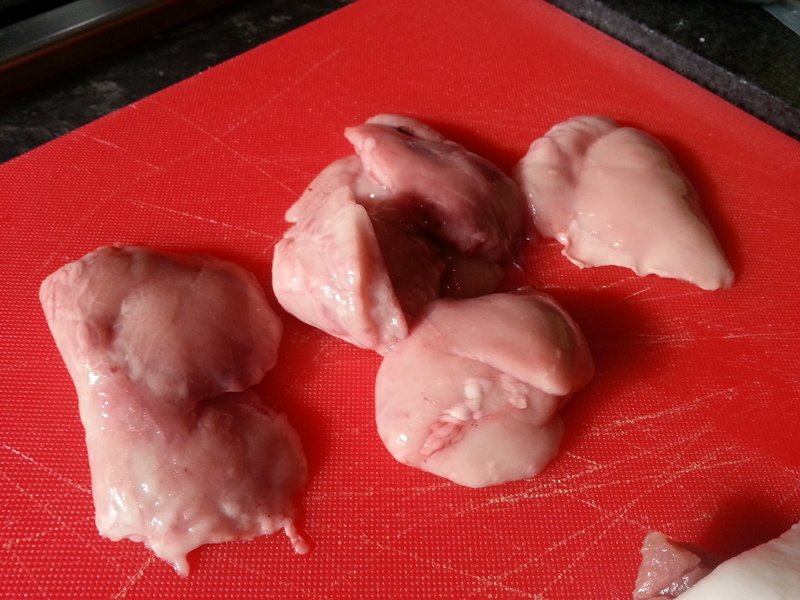 If you are new to offal, or fear it a little, sweetbreads are a good place to start I reckon. But why are they called sweetbreads? Well, they are sweet because they taste richer and sweeter compared to typical meat, and they are bread because the old English word for flesh is bræd. Sweetbreads were once very, very popular, but have now died a comparative death. Though, like many of the old forgotten cuts of meat, there is a slight resurgence, but nowhere near the dizzy heights of the 18th and 19th centuries. Almost every meat dish seems to have been decked out with breaded sweetbread garnishes. In those days; they were cheap and they were plentiful and they were delicious. Sweetbreads are not the easiest of cuts to get hold of these days, with most of them being snapped up by restaurants, and the few that get to your butcher are snaffled very quickly by those in the know. This, in some ways, in a good thing – they become, not a mere garnish, but the star of the show, something to be savoured. In Jane Grigson’s book Good Things, they have a whole chapter to themselves! Sweetbreads are best served simply: grilled or fried alongside some dry-cured streaky bacon. Sweetbreads love bacon. They also love black pudding and sweet vegetables such as beans and peas. 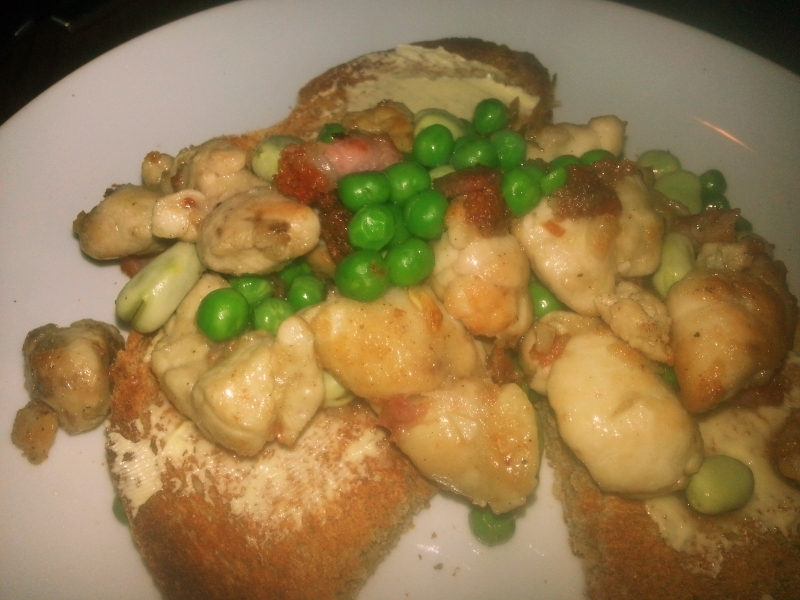 I got lambs’ sweetbreads from my butcher WH Frost in Chorlton. For some bonkers reason we can’t sell British calves’ sweetbreads in this country, but we can sell those that have come from mainland Europe. Whether you get calves’ or lambs’ sweetbreads they first need to be soaked in salted water for a few hours. This gets rid of any impurities. If you can, change the water a couple of times, but it is no big deal if you do not. Next, the sweetbreads are poached. This can be in simple salted water, but more normal is a light stock such as chicken or vegetable or in a court bouillon of herbs and vegetables. Simply pop your sweetbreads into the water or stock, bring to the boil and simmer gently for five minutes. Remove, drain and cool before removing any gristly bits. The tricky part is doing this whilst keeping them whole. This recipe is great if you’ve never cooked with sweetbreads before – they are sliced up, so if they do fall apart when preparing them, it doesn’t matter. This recipe is also a very quick dinner – taking only 10 minutes or so to cook. I don’t think it needs to be served with anything, except perhaps a slice of wholemeal bread and butter. By the way, there is nothing wrong with using frozen peas and beans here. This recipe is adapted from The River Cottage Meat Book by Hugh Fearnley-Whittingstall and it serves four people. 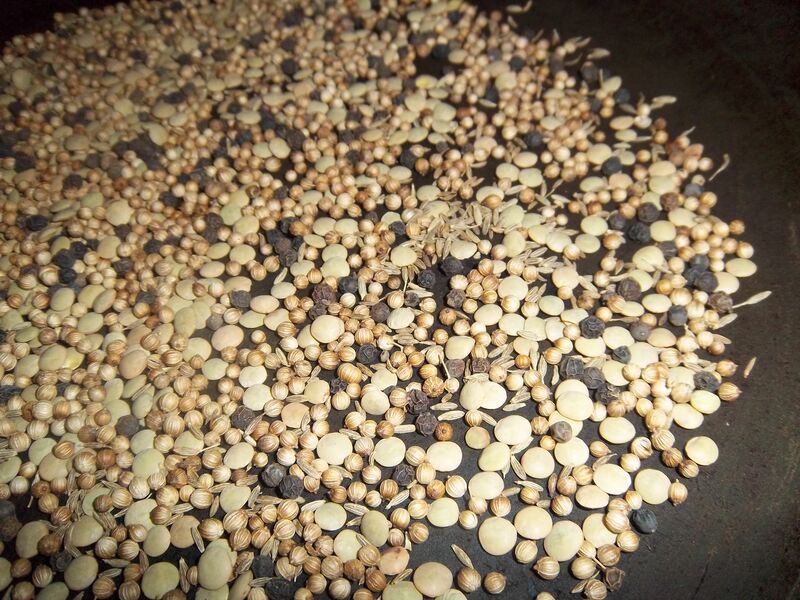 Plunge the beans and peas into boiling water for one minute, then drain and tip into cold water. Heat the oil in a frying pan and fry the bacon begins to crisp. Meanwhile, toss the sweetbreads in the seasoned flour and tip them into the pan along with the bacon. A minute later, add the garlic and fry everything a nice golden brown. Tip away any excess oil and stir in the beans and peas. Cook for another minute, season with salt and pepper and serve piping hot. In the mid-19th century, the British obsession with Indian curries and culture really started to take off (see this post for a brief history of Britain’s love of spice and India). It wasn’t just the spiciness, but the romance of the place. Queen Victoria loved the country and even had an Indian wing in the palace. Although she was the Empress of India, she never actually visited the country, leaving all that excitement to her sons. Authentic – or very close approximations to authentic – curries were being made in one particular London gentleman’s club called the Oriental Club which could be found in Hanover Square. 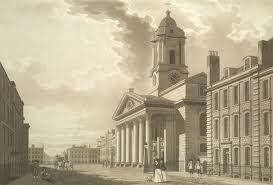 The club catered for high society – the Duke of Wellington was the President and all the chairmen seem to have been Sirs, Lords, Major-Generals or Vice-Admirals. 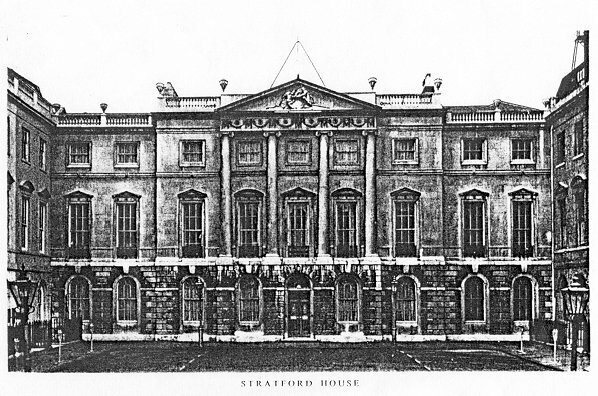 The Club was obviously a popular one; it opened in 1825 and in 1961 it moved from Hanover Square to Stratford House on Stratford Square, where it remains to this day. If you are a Londoner (and a man), you can still join, though it does cost between £240 and £850 per year to become a member. 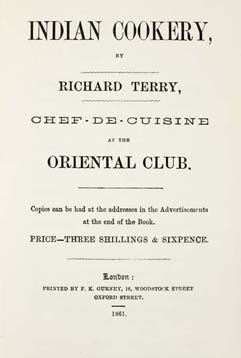 In its hey-day, Chef Richard Terry was at the helm in the kitchen, who took full advantage of the first Asian grocery warehouses; Payne’s Oriental Warehouse on Regent Street and the Oriental Depot on Leicester Square. 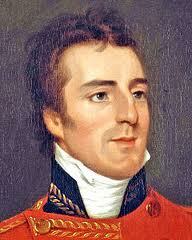 His recipes were ‘not only from [his] own knowledge of cookery, but from Native Cooks’ too. He published a book called Indian Cookery in 1861, where the recipe below is adapted from. The job of adaptation was not done by me, but Madhur Jaffrey, though I would like to get my hands on a copy. 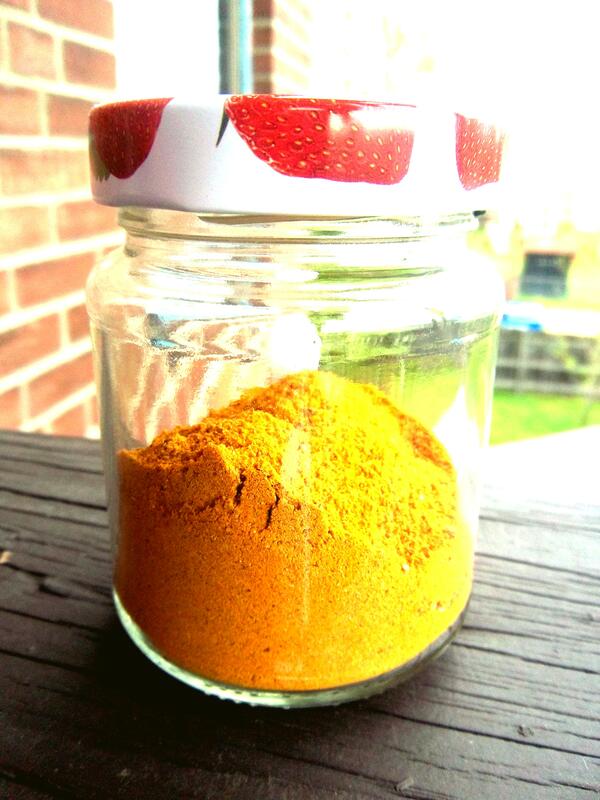 To make the curry, you need to make a blend of curry powder and curry paste first. Many old (and new!) recipes ask for curry paste, but don’t always give receipts for the paste itself. This recipe from Ranald Martin, a Victorian doctor and foodie who lived in India during the 1840s provides us with this one below. He was told it was an old Madras concoction. According to Madhur Jaffrey, the ingredients are very common in Madras, but the combination is ‘totally alien’. Aside from being used in curries, it was also used in sandwiches. The recipe below makes around 12 fluid ounces of paste. Dry-roast the whole spices and lentils in a frying pan until they turn a shade darker and emanate a delicious roasted aroma. 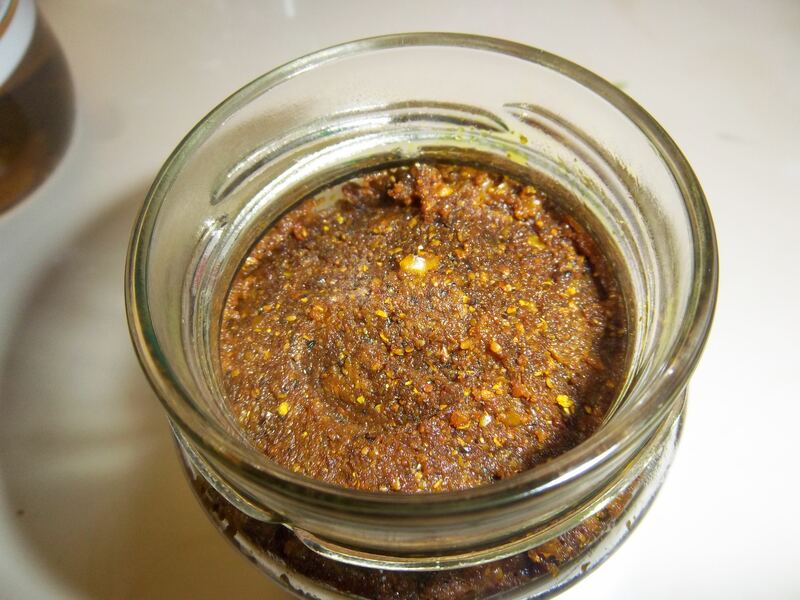 Remove from the heat, cool and grind in a spice or coffee grinder. Add the remaining ingredients except for the oil and stir well. Heat the oil in a frying pan and when hot, add the spice mixture and fry for around five minutes until the paste turns darker. Cool and empty into a jar. Store in the refrigerator. Okay, you have made the paste and blended your spices, now you can get on with the curry. 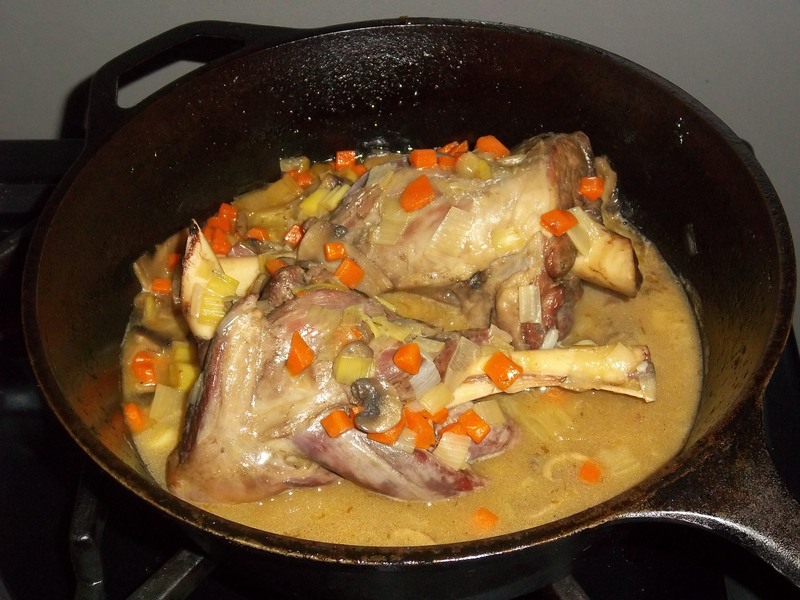 You can use either lamb or mutton, but bear in mind, the mutton – although more flavourful – will take longer to cook. If lamb is tricky to get hold of, goat or kid could be used as an alternative. The curry is pretty pungent, but good, dark and rich; I added a couple of peeled, chopped potatoes to add much needed-blandness. This curry serves 4 people and goes very well with plain rice, yoghurt and mango chutney. Would you believe, I forgot to take a photograph!? Heat the oil in one of those wide, deep frying pans that come with a lid. Add the onions and fry until the onions have browned and become crisp. Add the paste and powder, stirring well for a few seconds. Now add the meat and half of the salt, stir, cover and turn the heat right down. Gently fry for around 10 minutes, stirring occasionally. Add a pint of water (that’s a British pint – 20 fluid ounces) and the potatoes, turn up the heat and when the curry comes to a boil, turn the heat back down, cover and simmer very gently until the meat is tender, around 60 to 90 minutes if using lamb, longer if using mutton. Taste and add more salt if needed.